Here’s this week’s Media Mix about the death of 3-year-old Miyuki Watanabe in August 2010 while she was in the foster care of voice actress Shizuka Suzuike, who was arrested a few weeks ago for causing the injuries that led to Miyuki’s death. 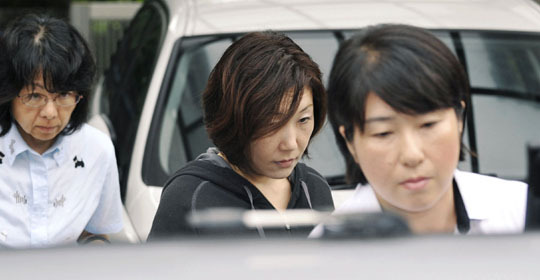 On Friday, Suzuike was indicted. As I point out in the column, the tabloid media has already tried and convicted Suzuike, which is their usual m.o. in such cases, but it’s difficult to discuss the matter of foster care and abuse without at least suggesting that it happened in this particular case. That’s what makes it difficult for the mainstream press to cover it, since the circumstances of Miyuki’s death require an investigation into the system of foster care in Japan. The point I make at the end is that because the idea of raising a child not related to the foster parent by blood is something those involved don’t want to discuss (or, perhaps more relevantly, are assumed to not want to discuss), the problems related to the foster care system–and child welfare programs in general–don’t get a proper airing until something terrible happens. Consequently, such coverage perpetuates a cycle that reinforces the belief that orphans and children who for whatever reason no longer live with their parents are permanently damaged. There’s no denying the evidence that suggests such children are more likely than children from whole families to suffer from psychological problems, but we’re not talking about statistics. We’re talking about a cultural stereotype, a phenomenon that is self-perpetuating. In that regard, you have to go outside the standard media coverage for perspective. One blogger read Suzuike’s own blog and formed a different take on what she wrote. The tabloids simply found things that supported their thesis, which is that Suzuike was driven to distraction by Miyuki’s intractable nature. But this one blogger had heard that Miyuki may have had a disability, and that Suzuike took her into her home knowing this. If that’s the case, then many of the things Suzuike said in her blog take on a different cast. The “dark side” comment, for instance, could be seen not as a description of some capacity for evil, which is how the tabloids interpreted it, but rather as an acknowledgement of Miyuki’s incapacity for certain things. This, of course, is just as speculative as the tabloids’ coverage, but it does indicate that there are often aspects of a tragedy that don’t see the light of day. Unless someone in a position of authority actually came out and said that Miyuki had a disability, no one else will. It would be considered in bad form. In any case, it’s easier to turn Suzuike into a deluded over-achiever. This entry was posted in Media and tagged Child protection, Foster care, Shizuka Suzuike. Bookmark the permalink. I am very much impressed with your deep insight into alone children in Japan. I have been organizing a volunteer group for 10 years that trains facilitators who visit children’s welfare facilities and spend an hour every week for 20 weeks with a group of 3 to 5 children to help them restore their self-esteem using the Rainbows program. The Rainbows program is a program to run a peer support group for grieving children established in Chicago by Suzy Y Marta in 1983 and since then it has helped 2milion children in the world. So far in Japan, there have been more than 130 children benefited by over 30 volunteers at two child welfare facilities in Chiba. I am well aware of inherent problems of Japan’s foster-parent system that you stated in the article. Few years ago, the government unsuccessfully campaigned for doubling the number of foster-parent. Reality is that becoming a foster-parent is too much responsibility and too much trouble for many Japanese. Yet at the same time, there are many people who want to support alone children in Japan. They can be young single or old people or people without enough income who are hardly qualified as foster-parents yet who want to give their love to these children, rather than just sending donation money. The Rainbows gives these good people opportunities to support these unfortunate children and gives these children chances to experience unconditional love. Relationship between volunteers and children usually lasts quite long though it is not firm. Majority of volunteers including myself keep corresponding with the children in the group for years. They will send birthday presents or greeting cards or visit them occasionally. The workers at children’s welfare facilities bear a precious yet heavy burden and I will never ever stop admiring their dedication. They have a strong sense of responsibility for their work but unfortunately, the work is just too much. Children are as well fed and dressed as children with family yet they might not get enough attention form adults, the workers. It is just impossible for one adult takes good care of 4 children aged three to 18 who have complicated backgrounds for 24 hours 365 days. So that is where the Rainbows fit into. The Rainbows can be defined as a petty foster-parenting. What we can give the children will be very little, perhaps just better than nothing. Yet it is indeed not nothing! I would like to deliver the Rainbows as many as children living in facilities. To make this happen, I need to recruit volunteers and find facilities which understand and interested in the Rainbows. I would appreciate it a lot if you could give me a hand.